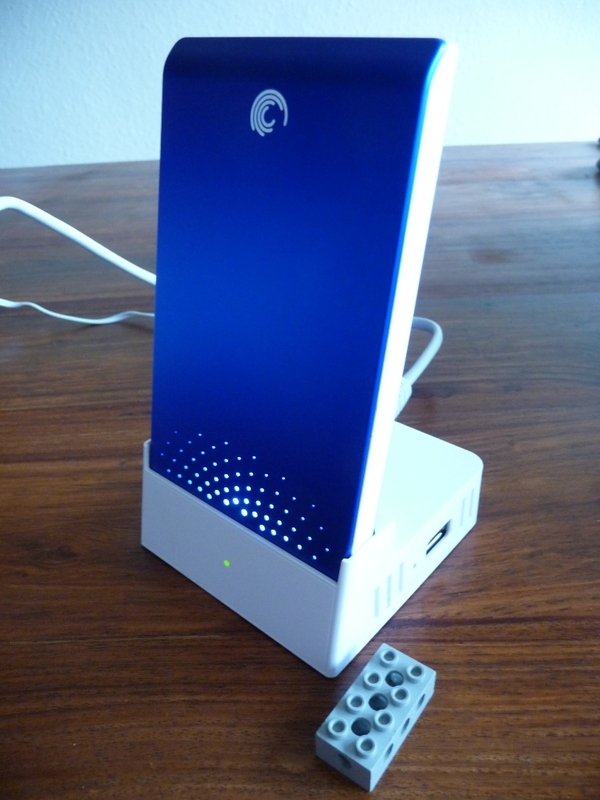 This page describes how you can modify a Seagate FreeAgent DockStar to work as a normal server running GNU/Linux. Because this device uses max. 8 Watts (including the hard disk), this is an ideal candidate for a 24/7 running server (if the services you want to run don't need much RAM or exceptional speed). As the title your browser shows suggests, if you will follow the steps below, you will loose the warranty for your DockStar and you might render that thing unusable. So be warned, I'm not responsible for your actions, I'm just describing what I have done to use this device in a different manner than it was sold for. Don't blame me (or even Seagate) if you are following the steps I'm describing here and your device is unusable afterwards (maybe because of errors in this description). Updates: 19/02/2010 Turn the LED orange on shutdown (through /etc/conf.d/local.stop). 19/02/2010 Clarify that replacing the kernel in the NAND needs some research too. 24/02/2010 Added a picture of the USB to serial cable. 28/02/2010 Using Linux Kernel 2.6.33 instead of 2.6.32. 13/08/2010 Some warnings regarding new firmware, pinout for JTAG. 10/09/2010 Added a git reset for U-Boot so that my (now old) patches apply cleanly, usage of nandwrite -p. 11/09/2010 Work done ;). 07/04/2010 Using Linux Kernel 2.6.38 instead of 2.6.33. 14/04/2010 Updated patchset for 2.6.38 to use definitions for the MTD-partitions like the original kernel for the DockStar. PlugApps has many stuff, e.g. how to attach a JTAG adaptor and much more (and was the site I first looked at to learn how to modify a device with Pogoplug software). 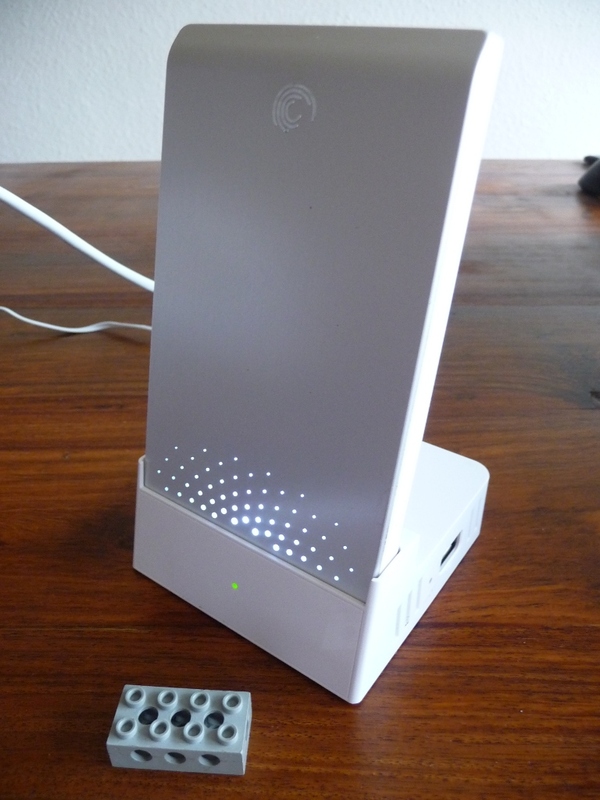 openwrt.org has a HOWTO to put OpenWrt on your DockStar. blogdoch.net has a german description about how to put Ubuntu onto the DockStar. microcontroller.net, a very good site about all embedded things, has a german thread (with pictures, so useful too if you don't understand german) about all the pins which are reachable. The thing which first indexed my description (ok, I asked it to do that ;) ) offers much more. But that doesn't mean, that I won't update this page in the future. The small collection of links above is here just because I have the hope that it might help all those people who don't like my personal favorite so that my mailbox might receive less questions which are already answered elsewhere. But I have to thank all those people who are sending me e-mails about new stuff they have discovered. Thanks! 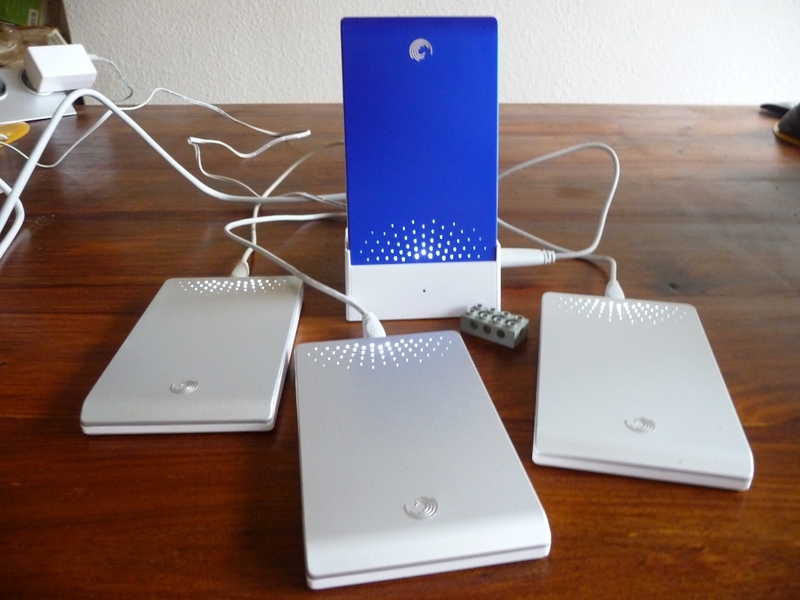 The hardware of the Seagate FreeAgent DockStar is mainly the same as the one which is used in those PlugComputers like the SheevaPlug. The difference to a SheevaPlug is that the DockStar has only 128 MB RAM (a SheevaPlug has 512 MB), doesn't have a functional real time clock, but includes a powered USB-hub with 4 ports from which one is used for the dock for one of those nice Seagate FreeAgent Go hard disks. 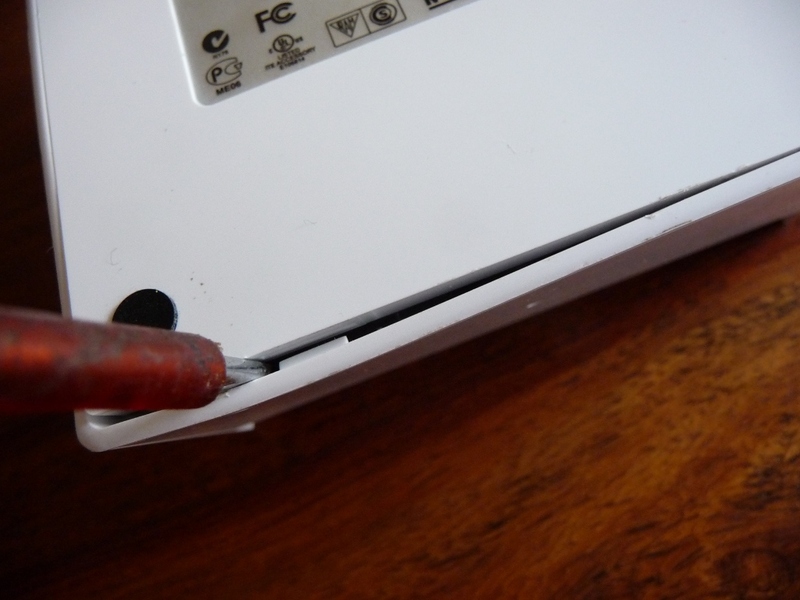 And, of course, you normally don't have the possibility to run your own OS on that hardware, you have no access to a serial console and no possibility to connect a JTAG-dongle to change the firmware or recover from failures when changing the firmware. You can find a good review at SmallNetBuilder. Just to be clear, so that no misunderstandings may arise: I have done the things I'm describing here in my spare time, I wasn't paid by anyone to do this and I don't have any financial interests in publishing these steps. See it as a gift and don't bother me with sentences like "You have to do this and that." or "You have to help me, ...". And, please, forgive me if I won't answer to an e-mail. The primary motivation was the search for decent replacement for a VIA EPIA ML which was used 24/7 for things like VPN access, IMAP server, proxy, file server, MySQL and PostgreSQL server and many other things. While reading about the SheevaPlug I've come across a review about the DockStar (see above). Because I'm already using some of those nice FreeAgent Go hard disks for backup purposes, it doesn't took long until the decision was taken. It was available in a store around the corner. It serves as a docking station for a 2.5" hard disk. No other enclosures necessary. 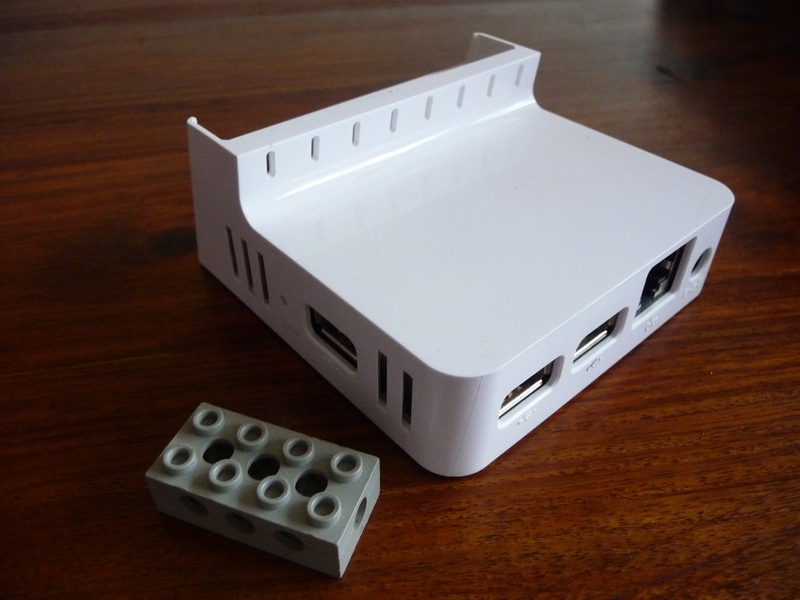 It has a (powered) USB-hub included (no other thingy needed to connect some more USB-devices). It looks really nice, especially when a coloured hard disk is in the dock. Warning: There are devices with a new firmware. You have to enable ssh using the software from Pogoplug, which means if you follow the instructions below, you will disable network access because the software from Pogoplug will be disabled, hence no ssh after that. I will update my instructions after I got a device with the new firmware. Until that, don't start changing anything without having at least access to the serial). 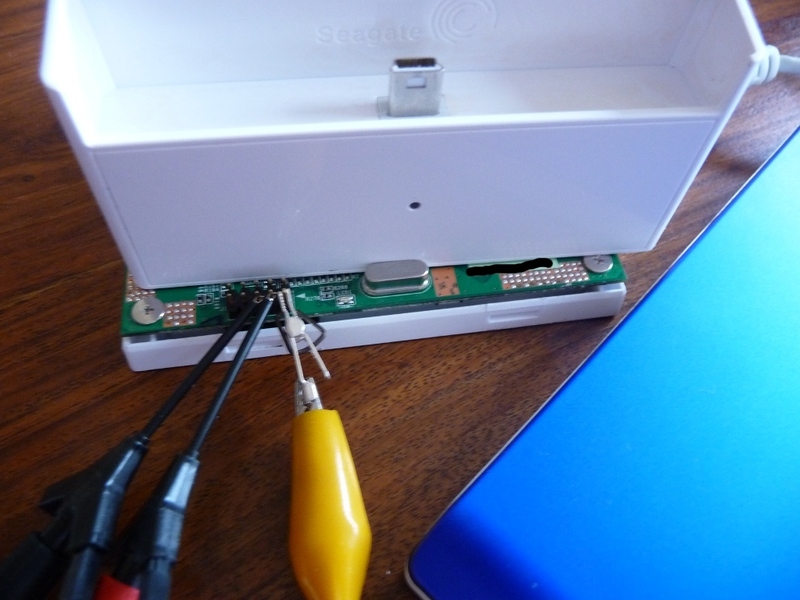 You will need the serial to access the device if you disabled the Pogoplug software. These instructions are for a device which has never got online. I never started this thing using the suplied firmware from Pogoplug while it was able to go online. The reason I mentioning this, is because I don't know if they are updating the firmware without asking the user. I don't know what may have changed if the firmware was updated (or used). Because I never was interested in using the software from Pogoplug, I never have activated the account needed to use this software (maybe I should ask for a reward *g*). All the following steps are written for people experienced in using Linux systems. If you aren't experienced in using a GNU/Linux distribution (and vi), don't try to do it alone. Search someone experienced who will help you before starting to brick your DockStar. This guide will list all the necessary steps needed, but many of them will be without an explanation. You really should be familar with Linux and you should know what commands like "mount -o bind /dev /mnt/dev; chroot /mnt" are doing. In case you will decide later that you want to use the original software, we are taking backups of the whole firmware (remember, backups are always a good idea). We are using the same usb-storage device (hard disk or USB-stick) to store the backup where we later are installing the new system. Create at least three partitions on the USB-storage. The first must be formatted with vfat or ext2 and should have at least 10MB. This partition will only get the (new) kernel we are booting and the requirement for vfat or ext2 comes from the boot loader (Das U-Boot). The second partition will get the system, should have at least 4GB and must be formatted with ext2 or ext3 (not ext4, the original kernel we have to use for the next steps doesn't support ext4). The third partition will be used for swap (don't forget to change the type to 82 and format it using mkswap) and should have something around 1-3 GB (just in case someone will have the idea to compile things like open office *g*). If you are an old school fan of separate partitions for /var, /usr and such, feel free to create more partitions, this guide will only use the first three. Get access through ssh or telnet. Both services are enabled so we have to find out which IP the device has, without attaching it to our normal network, so it can't go online. Side note: If anyone from Pogoplug or Seagate reads this: You should warn your users that they never should use this device without having a firewall between it and the Internet. Escpecially because the DockStar is sold as a device which should be connected to the Internet for his main operation. And you should warn your users that this devices offers telnet and ssh access to everyone how knows the preset password. I don't have a problem with the fact that these services are enabled with a default password, but with regard to security it is absolutely not acceptable, that this is not mentioned at a prominent place in the documentation. 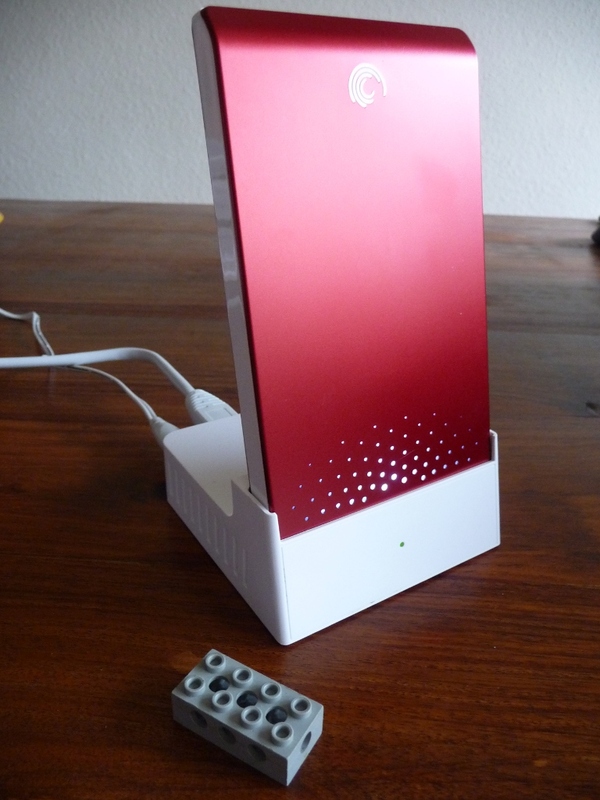 Attach the usb-storage and connect the DockStar with a network cable directly to a computer running Linux which doesn't route or offers DHCP. Plug in the power cable of the DockStar and wait until the LED is steadily orange. Because the device won't get an IP from an DHCP server, it will use an automatic generated IP between 169.254.1.0 and 169.254.254.255 (see RFC 3927). Wait a minute until the system has shut down (the LED will still be orange after shutdown), turn of the power of the DockStar, take the USB-storage device and make a backup of the directory Backup onto another device. I'm using Gentoo as the distribution of my choice. However, except for this step, where we are installing the base system, the other steps should be more or less equal, regardless if you prefer Debian, Ubuntu or some other GNU/Linux distribution which offers support for the ARM architecture. Again, wait a minute and turn off the device. You should see the new IP it has got from your DHCP server and the correct date and time (timezone UTC). If the date is wrong, it means the DockStar could not get the correct date via NTP and you should check out why it fails to connect to one of the NTP servers listed in /etc/ntp.conf. If the date is correct, you can proceed installing the new system. For a further explanation of what this all does, please read the excellent Gentoo documentation. The stage3 tarball listed below might be outdated when you are reading this guide and you might have to use another one. Just be sure you are downloading a stage 3 for armv5. Depending on the time you are reading this, you should add a patch for procps. Without this, you often will see the message "Unknown HZ value!" with tools like ps or top. The documentation for the kernel parameter netconsole can be found in the file Documentation/networking/netconsole.txt. Copy the kernel to the first partition (sda1, already mounted in a step above to /boot). If you have formatted the first partition as vfat, you have to skip the line where a symlink in /boot is created. This symlink is not really needed and just makes sure, that if someone (we don't) uses (partition1)/boot/uImage as filename in the boot loader to load the kernel it will be found. The (patched) version of Das U-Boot the DockStar comes with is just a pain. No support for netconsole, no support for USB, and, the worse thing of all, it's impossible to change the settings (environment) from within a started GNU/Linux system. At least I was unable (in reasonable time) to come up with something which would at least calculate the same checksum for the environment as the one which is stored in the NAND (of my DockStar). Normally something easy, but... The next problem would be to bring the ECC with which the environment in the NAND is protected by the boot loader in sync with the ECC the Linux kernel currently supports. But because I've already failed in calculating the checksum, I never looked in deep at that topic. (1) Replacement of the boot loader in the NAND flash. Because I currently don't know how to connect a JTAG adapter, this is a very dangerous solution. If the replacement doesn't work, the device would be unusable without the possibility to recover. 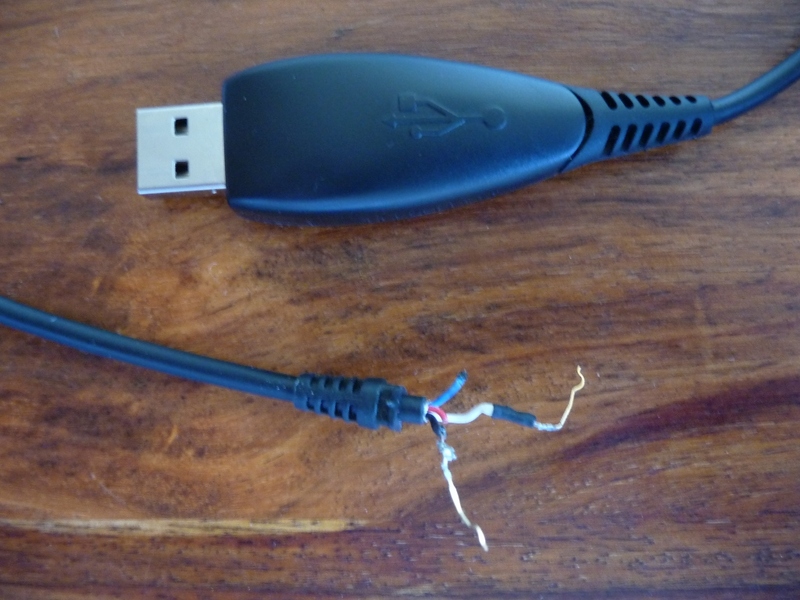 It is possible (I've tried it), but I would not recommend that until you have found out how to connect a JTAG adapter. This approach requires that you are opening your device and you need a dongle with a level shifter to connect the 3.3V RS232 to your computer in order to get access to the serial console. (2) Replacement of the kernel in the NAND flash. This approach doesn't require that you have to open the device. But it means, that changing the kernel requires to change the NAND. If somethings fails during flashing the new kernel or the new kernel doesn't work, you have to open the device in order to get access to serial console. (3) Instruct the crippled boot loader to chainload a second full featured one. This requires that you have to open your devices once. A full featured U-Boot is placed in an unused part of the NAND flash and the settings of the original boot loader are changed (therfore you need the access to the serial console) to load and start the full featured one. This is the approach I'm currently using. (4) Replacement of the kernel in the NAND with a full featured U-Boot. The smartest approach. The kernel may be loaded from USB-storage and there is no need access the serial console. The problem is, that I have to checkout what to do to replace the kernel so that the original U-Boot still starts the replacement which is another U-Boot instead of a kernel using the u-boot command bootm. I will not describe (1) because it's too dangerous. (2) needs some research (and maybe a kernel patch because this only makes sense when we don't have to change the environment of U-Boot like arcNumber or mainlineLinux), and to describe (4) I have to do some research too. So (3) is left, which I'm describing here. Edit /usr/src/u-boot/include/configs/sheevaplug.h and change the following entries to reflect your MAC (found on the sticker at the bottom of the DockStar) and the IPs. 192.168.ip.netconsole is the IP of the box you want to use for netconsole. Currently there exists a small problem when enabling netconsole in U-Boot, the netconsole from the kernel won't work. If the netconsole in U-Boot is not enabled, the netconsole from the kernel will work. So choose your poison. My preference is to leave the netconsole enabled in both, so I can use at least the shell from U-Boot without having to attach a serial cable to the device. Maybe someone will come up with a patch for U-Boot or the kernel later. #define CONFIG_PREBOOT "setenv arcNumber 2097;setenv mainlineLinux yes"
In case you are wondering about the x_bootargs. Using my patches for the kernel they are not used and are just there if someone wants to use a vanilla kernel. This means to disable the netconsole in the kernel you have to change the commandline through menuconfig. Leave the chroot and write the new U-Boot to the unused space in the NAND. Double check the commands before executing them, if you are using the wrong mtd-partition, you will have a problem. If you have opened the DockStar Pin 1 is the upper right one of the 10-pin header when the ethernet jack looks away from you and the 10-pin header is on the side near you. You have to use the three pins on the lower right (6, 4 and 2). Again: this is not a normal RS232 because it uses 3.3V which means you either have to use such a cable as I recommend or you have to use a level shifter (e.g. a MAX3232) to connect it to a normal RS232. Copy and paste the text printenv outputs to a textfile for your reference. I suggest to save it in the directory where the backups are stored. Fine tune your system (read the Gentoo documentation). If you want to recompile all invoke emerge -ue world. A good idea might be to recompile at least glibc. Check out how to start a second U-Boot through bootm so there is no need to open the device and get access to the serial console. If netconsole in U-Boot is enabled, the netconsole from the kernel won't work. This page was born on 2010-02-02 and has last grown up on 2012-11-15.